A new month means a new giveaway for you all… and this month I thought a bit of colour was in order! 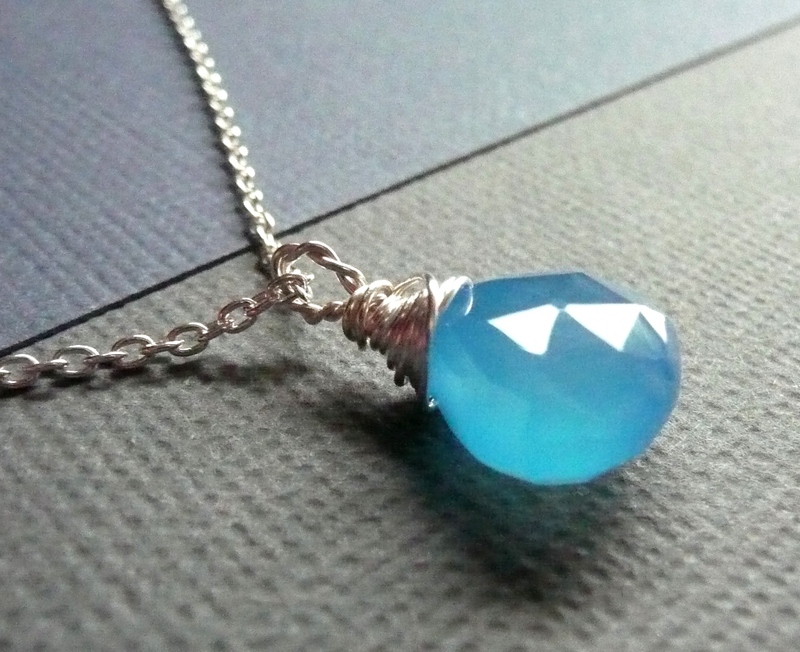 I’ll be giving one lucky reader a Sky Blue Chalcedony and Sterling Silver Necklace! The only requirement for entry is that you ‘Like’ Epheriell on Facebook. If you’re already a fan over there, just leave a comment below (remember to leave your name and a way for me to contact you!). If you’ve not yet ‘Liked’ Epheriell on Facebook, just pop over there, then come back here and leave a comment. Easy! And – did you know that Epheriell now has a monthly newsletter, with special deals, discounts and updates on new designs for subscribers? Not on Facebook? Or want a second entry? Go and sign up for it here – and leave another comment that you’ve done so (I’ll also get an e-mail to tell me you’ve signed up)! The winner of the Endless Necklace May Giveaway was Nyjole! – congrats! I just subscribed to your newsletter. Your jewelry is BEAUTIFUL! I’m already a fan! And I sooooo want that necklace. It’s gorgeous. I now Like you on FB! Hooray! Already a fan of yours Jess!! Not sure if I commented yet, but gorgeouse necklace! I’ve been a facebook friend! Lovely blue! I always enjoy your blog! Signed up for your newsletter! LOVE this necklace. =) I’ve browsed your site so many times. Beautiful creations.